This Lowmoore Quilt is a stylish addition to any wardrobe. 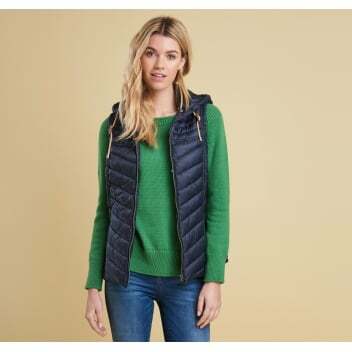 With contrast quilting, deep collar, and a hood, this gilet is as comfortable as it is stylish. A great detail is the sailcloth lining that has been decorated with the beautiful Barbour Beacon motif. This gilet is just the thing to throw on for fun days on the beach when the sun barely breaks through the clouds.